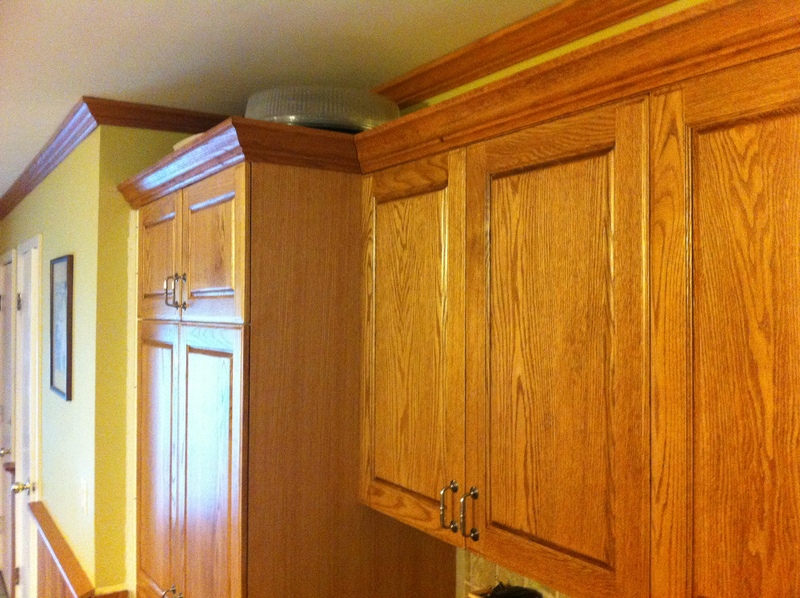 I finally broke down and ordered an actual dust collection system from Rockler. 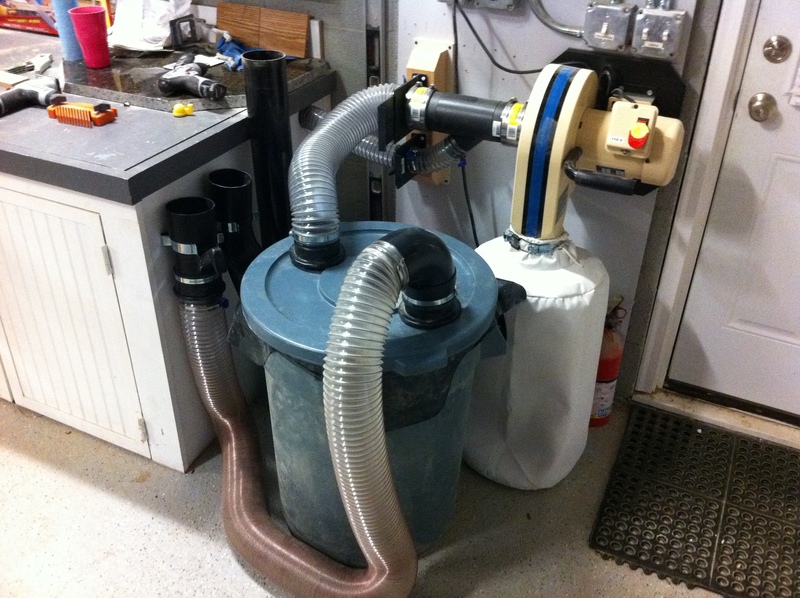 The days of the shopvac are over and hopefully the dust collector will be a big help keeping the shop clean and dust levels down. 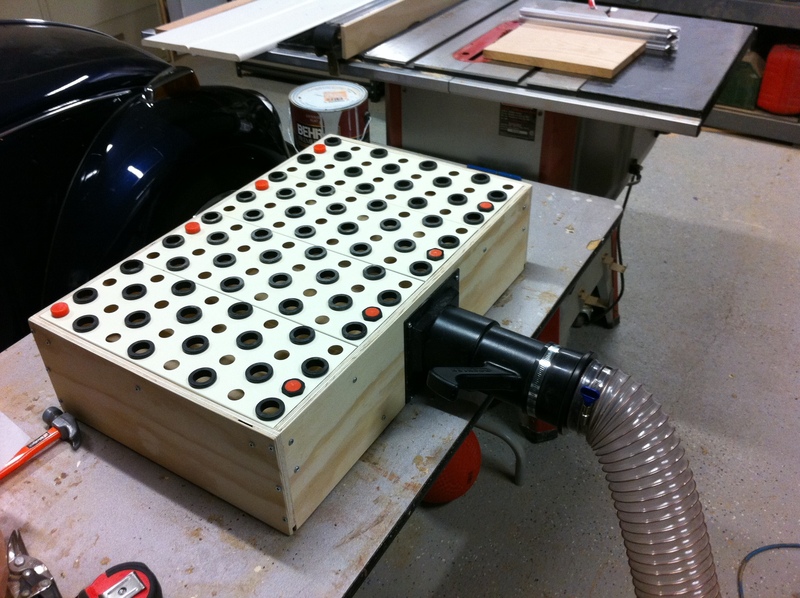 I built a downdraft sanding table to keep the dust down while using hand sanders and a vortex dust separator to put the bulk of the wood chips and dust directly into a garbage bag. 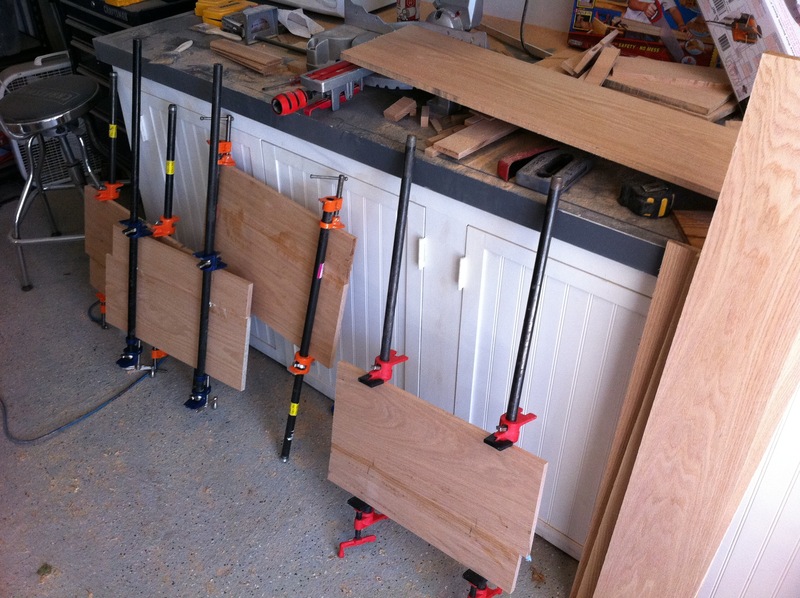 The system works great for the planers, table saw, and router but I still have some work to do to get the chop saw to collect all the dust. 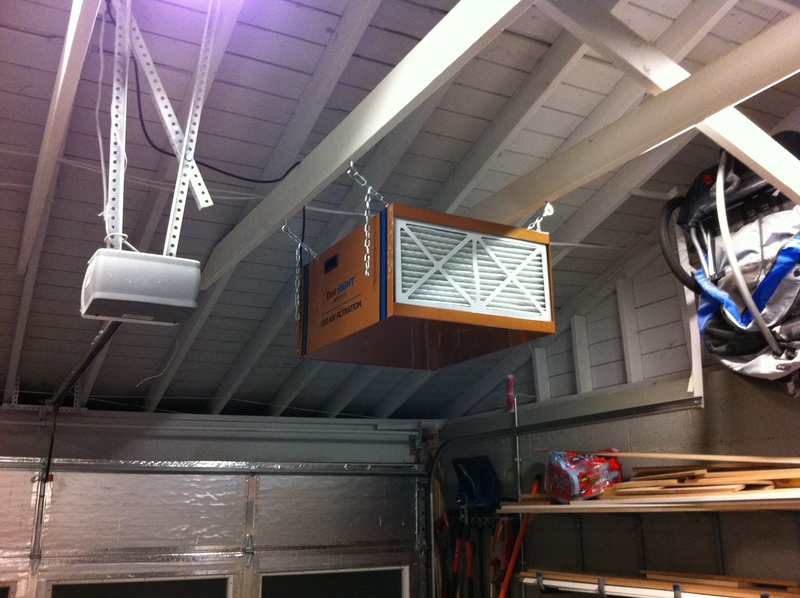 The final piece is a shop air purifier system to take the dust out of the air. 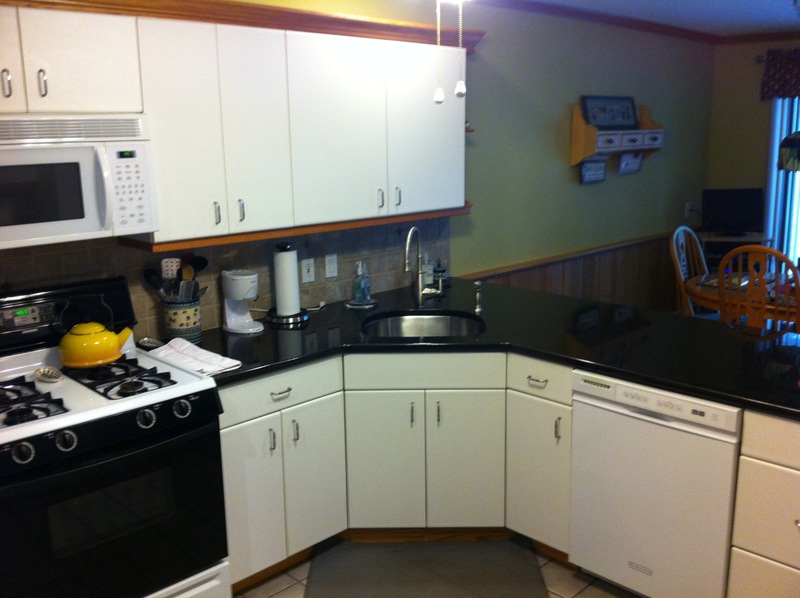 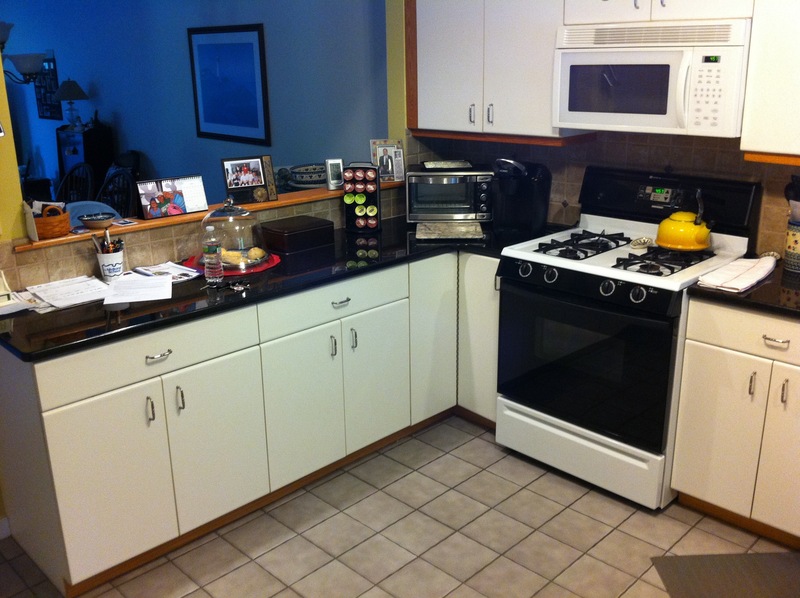 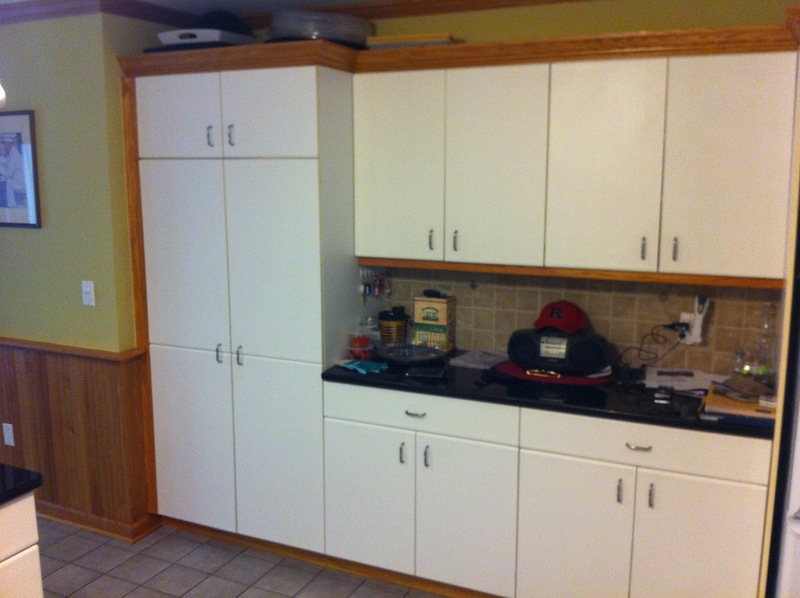 The kitchen refacing is complete. 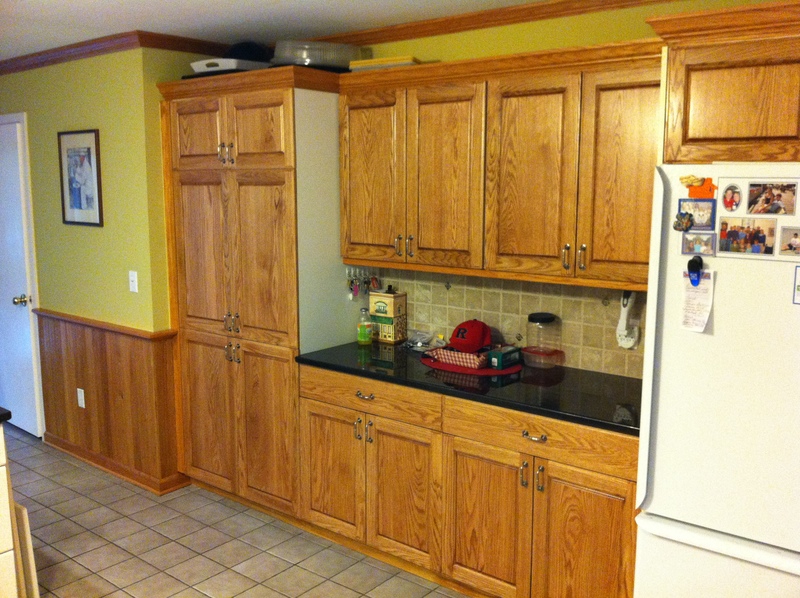 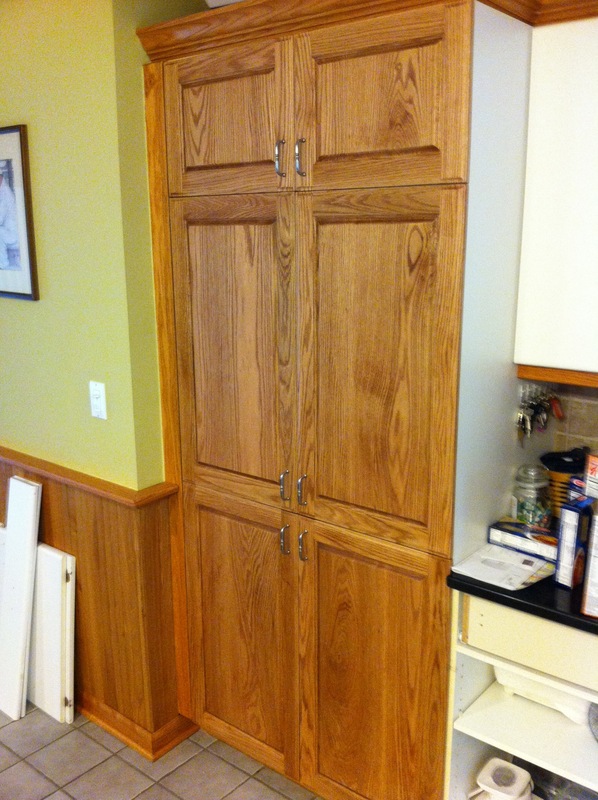 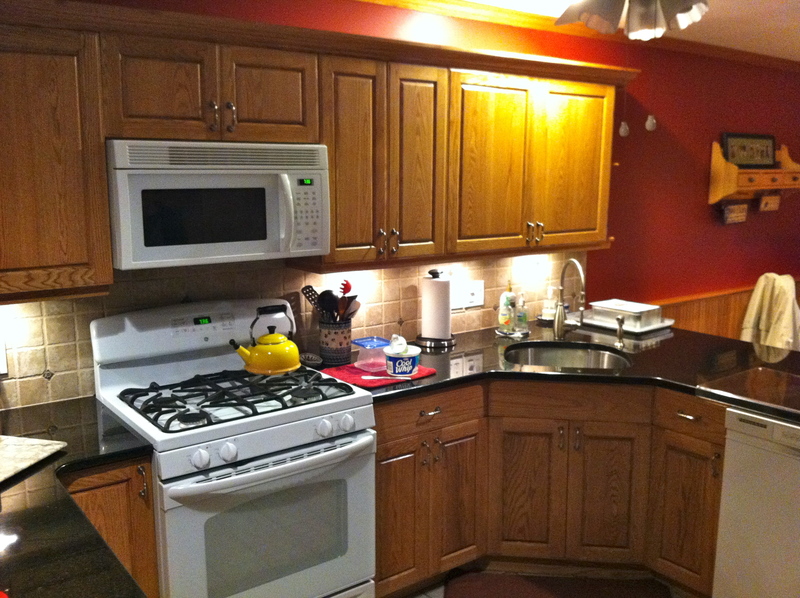 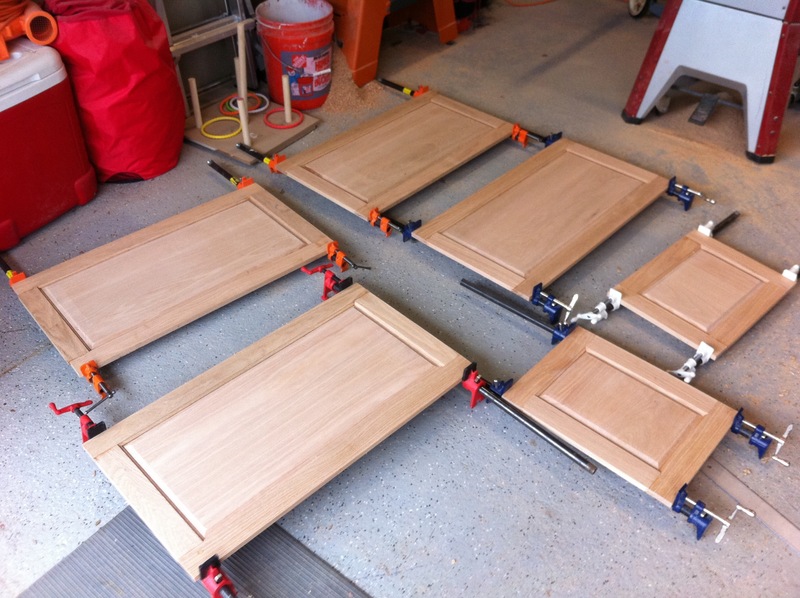 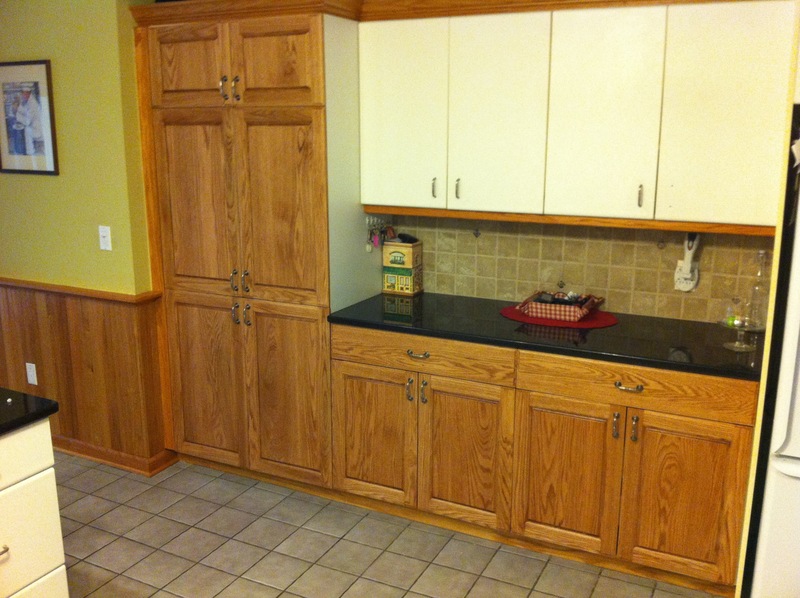 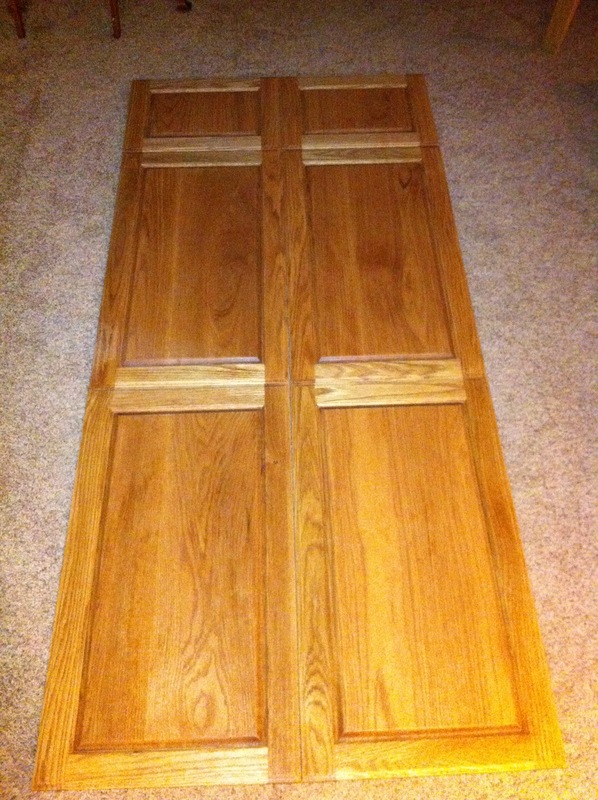 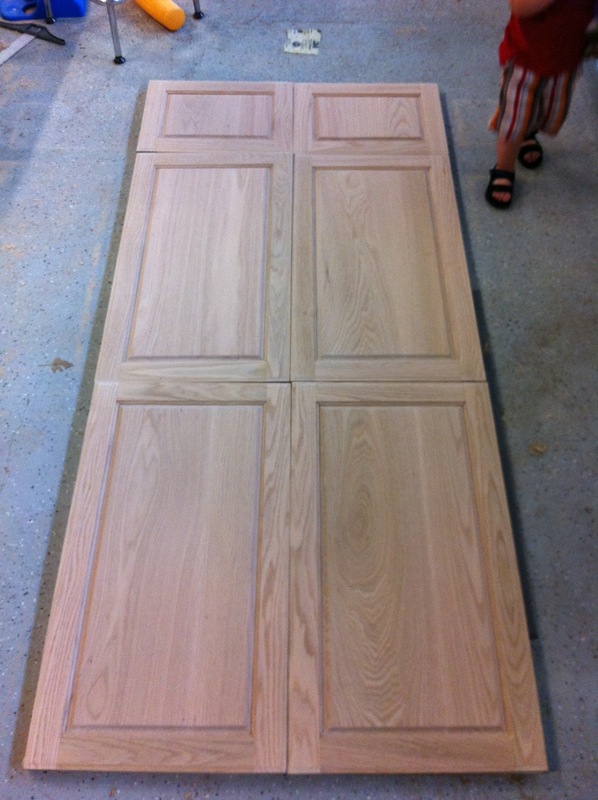 All of the doors were replaced with solid oak raised panel doors and drawer fronts. 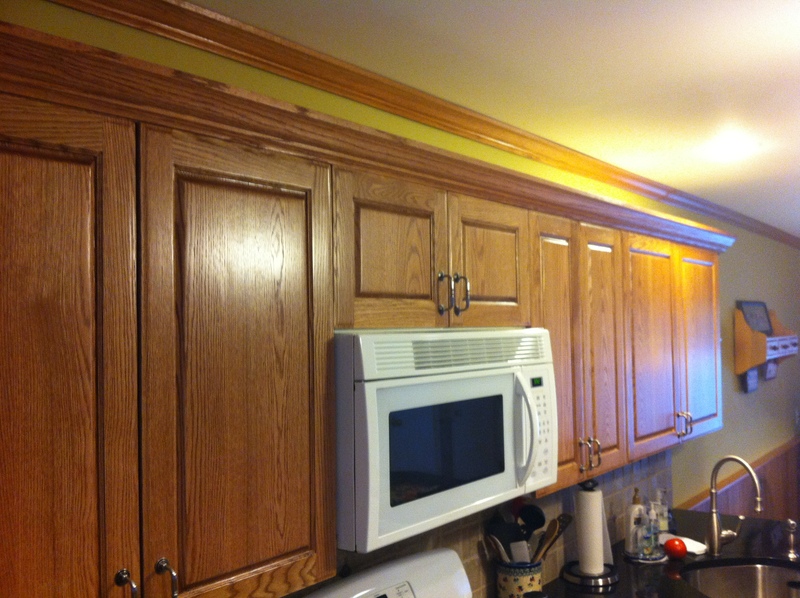 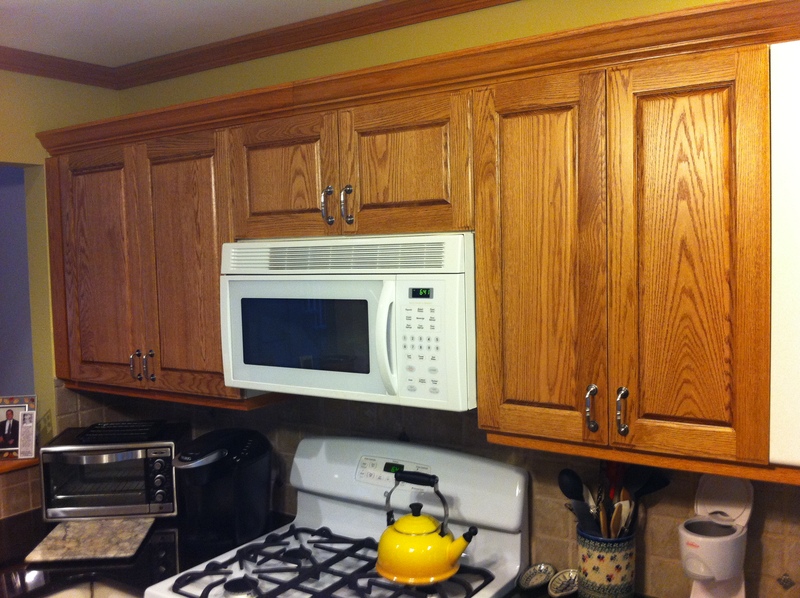 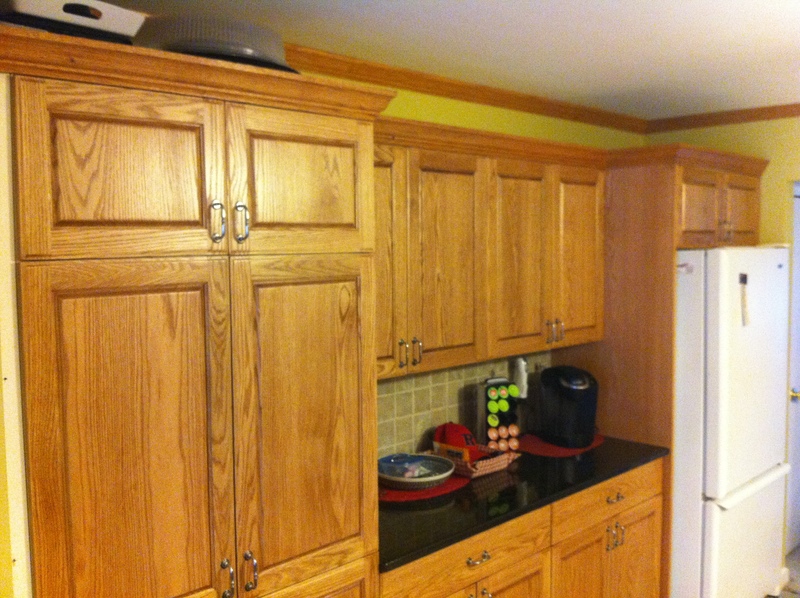 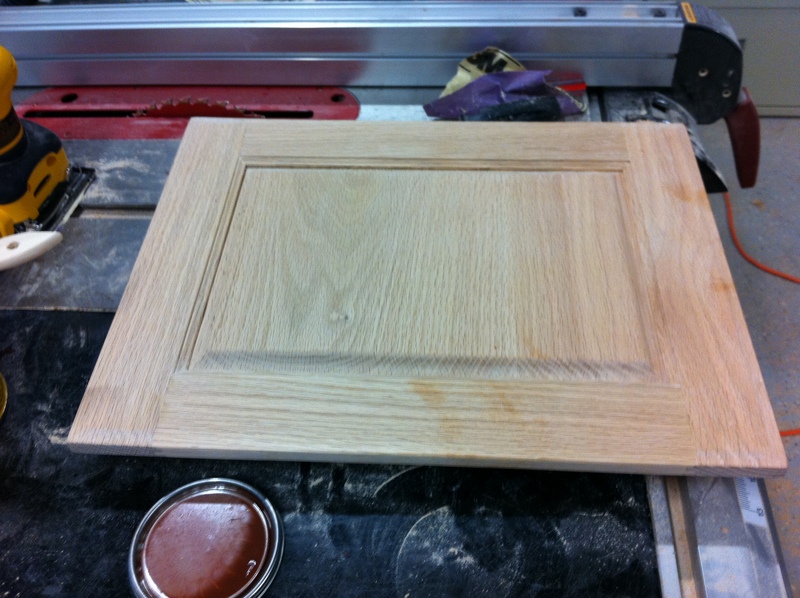 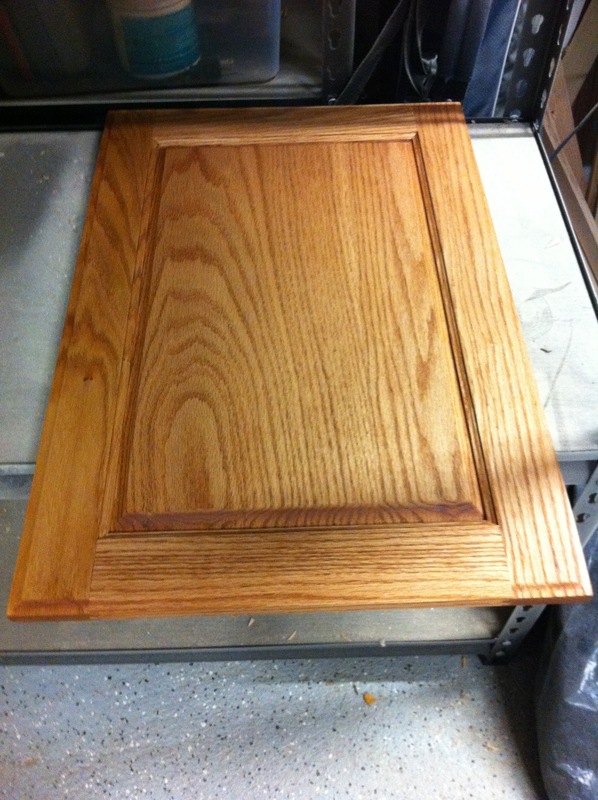 The visible surfaces of the cabinets have been veneered and the crown was replaced. 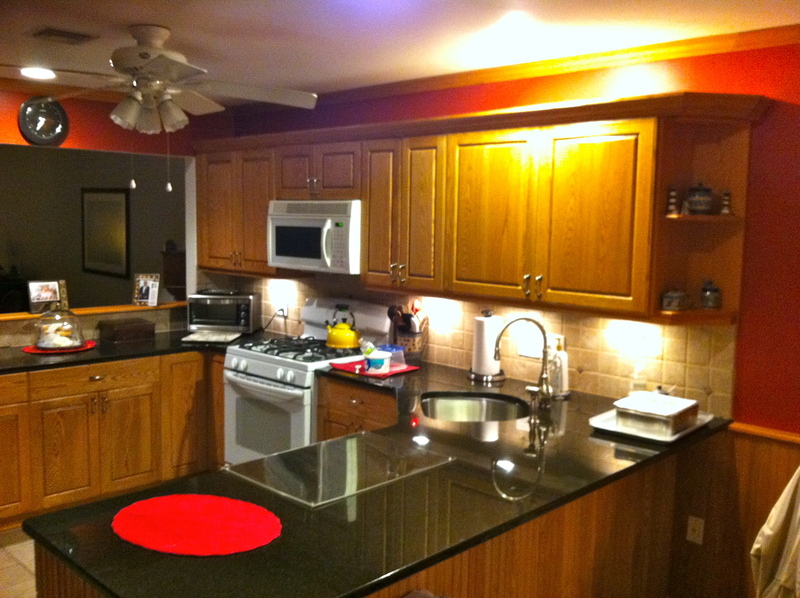 It is hard to believe the little guy is going to be two this weekend. 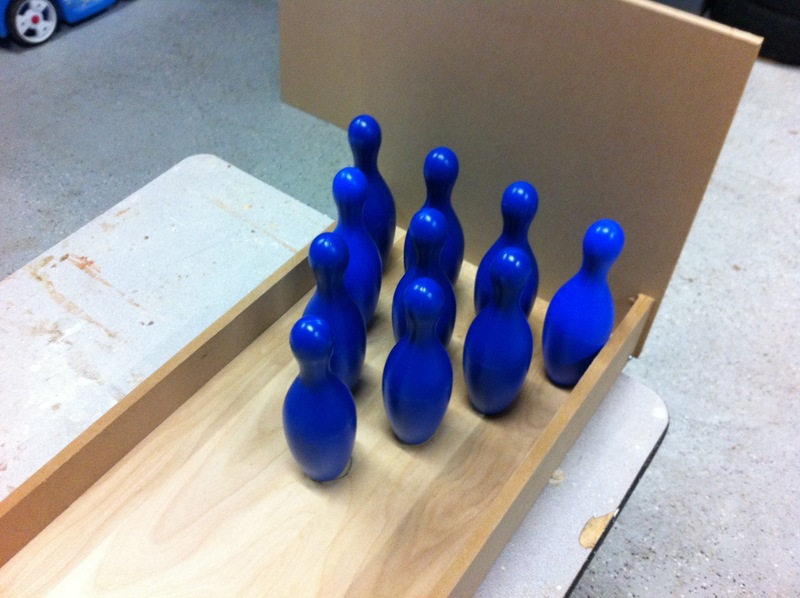 I am making a few quick projects for the party including a toddler sized bowling alley and ring toss. 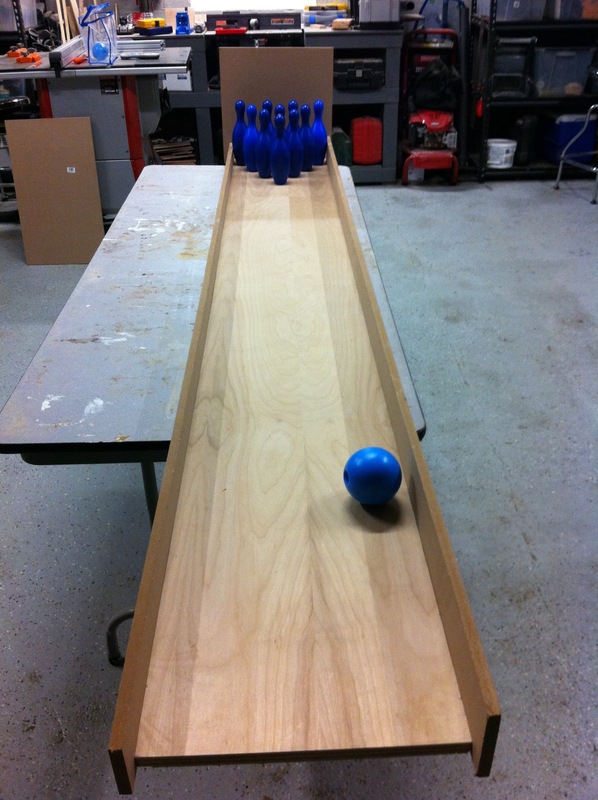 I am making the bowling alley so any toddler can win. 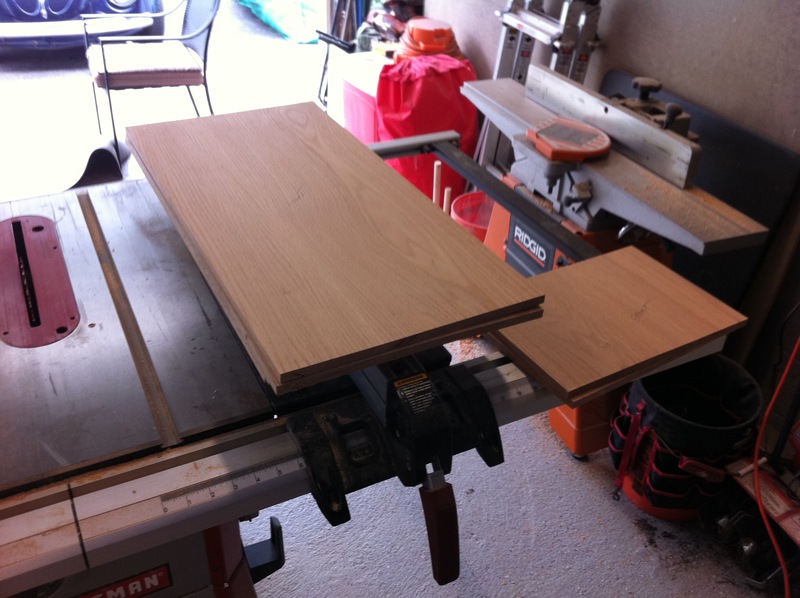 I am glad I keep all of these scrap pieces of wood around for times like this.